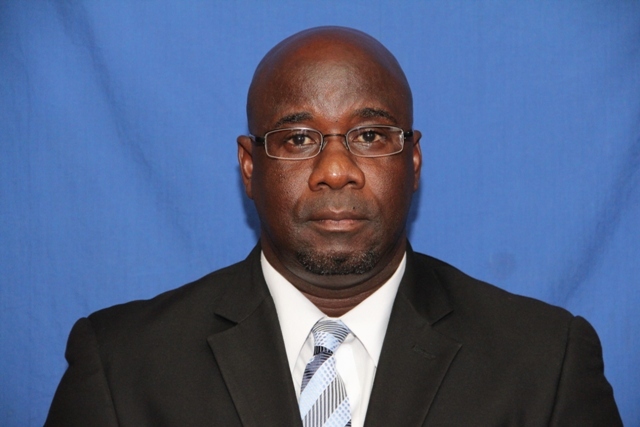 NIA CHARLESTOWN NEVIS (October 16, 2014) — The following is an address delivered by Minister of Agriculture in the Nevis Island Administration (NIA) Hon. Alexis Jeffers on October 16, 2014, on the occasion of World Food Day 2014. Fellow citizens and residents, I greet you on this the occasion of World Food Day 2014. World Food Day is a Food and Agriculture (FAO) sanctioned observance, celebrated on October 16th each year and provides an opportunity for us in Nevis, to join nations around the world in the fight against hunger. Latest FAO estimates show that about 870 million people worldwide, live in a state of daily hunger. Additionally, millions of people, including six million children under the age of five, die each year as a result of hunger. World Food Day is also observed to to give us a chance to join with people the world over, in strengthening the struggle for freedom from hunger and to offer all countries an occasion to highlight the crucial importance of food and agriculture to their people. World Food Day is being celebrated this year under the theme “Family Farming: Feeding the World, Caring for the Earth.” This year’s observance gives us the opportunity to focus on how important the family is to the development of the agriculture industry here on Nevis and further afield. Many of us grew up in an era where the entire household or family was engaged in some form of agriculture, in most cases either livestock or crop production or both. Over the years, sadly, that has been lost and more recently, there may be only one or two persons within a family who are engaged in farming. It has been observed that in many cases, the children, whether or not by design, are omitted from the farming business. It is the hope of the Ministry and Department of Agriculture, that persons who are involved in farming could see the real benefits of having the entire family on board. Family members should be particularly mindful that they should not only reap the financial rewards of farming but also, to be involved in every aspect of the business. Our children, in particular, must be sensitized to the significance of Agriculture and how it contributes to their overall development and by extension the development of the island of Nevis as well. We must be cognisant of the fact that as we engage in family farming, we are indeed helping to feed the world and actually caring for the earth. How are we feeding the world? We must recognise that if we are producing more to feed our population, we are indeed contributing, in some measure, to the overall goal of ending world hunger. Our efforts at feeding our nation and feeding the world, must embrace the notion of caring for the earth. Our farmers must be encouraged to engage in agricultural practices that do not harm the environment but in essence seek to preserve it. I am therefore encouraging our farmers, to take the advice of the Department’s technicians and to engage in land preparation practices that will conserve our precious land resource. Farmers must at all times be particularly mindful of their choice, usage and storage of pesticides as these chemicals can impact negatively on the environment. In the past, farmers have underestimated the harm that the indiscriminate use of pesticides can do to the environment. I am therefore calling on our farmers, to use pesticides wisely and to follow the instructions on labels. Failure to do so could not only harm our environment but could also harm you as farmers and all of us as consumers. Additionally, if we fail to adopt the correct farming practices, we can inadvertently create harmful greenhouse gases, create a threat to biodiversity and ultimately affect every plant and animal on the planet. Farmers should strive to ensure that all of their production and management initiatives are Good Agricultural Practices (GAPs) compliant, as they strive to have more wholesome food being produced on the island. I am therefore challenging our farmers and their families, to embrace the issue of family farming and to ensure that all members of the household are involved in some aspect of the farming process whether it be production, packaging, marketing or the all important record keeping and management. All of us, including farmers, our Agricultural technicians and consumers have a part to play in feeding the world and caring for the earth. Even though the focus is on family farming, we can still rise to the challenge. In closing, as we celebrate World Food Day 2014, let us all join in the fight against world hunger. Let us all continue to eat more of what we grow and grow more of what we eat. Let us encourage and support our local producers. Let us all recommit ourselves to Feeding the World and Caring for the Earth. Thank you very much and may God continue to bless you all.